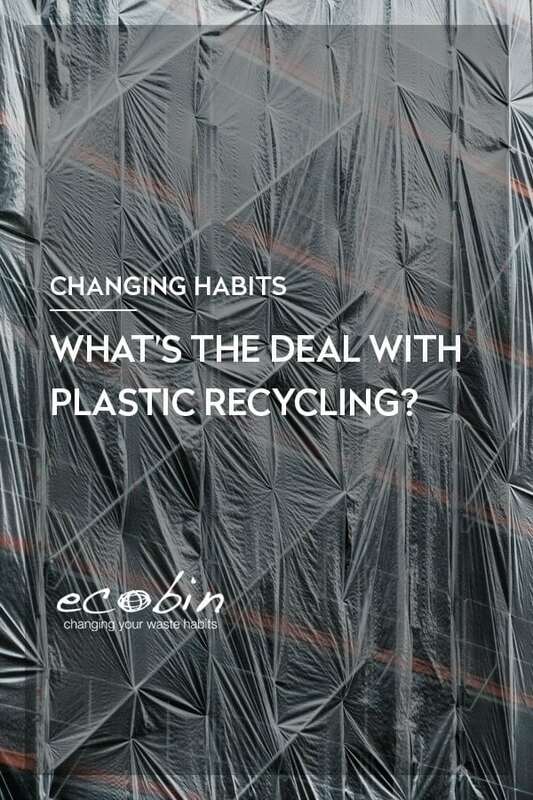 EcoBin > Changing Habits > WHAT’S THE DEAL WITH PLASTIC RECYCLING? Australians use 3.92 billion plastic bags each year, which is over 10 million new bags being used every day! It’s a staggering amount, but what’s interesting is that every type of plastic is fully recyclable…just not in the same way. 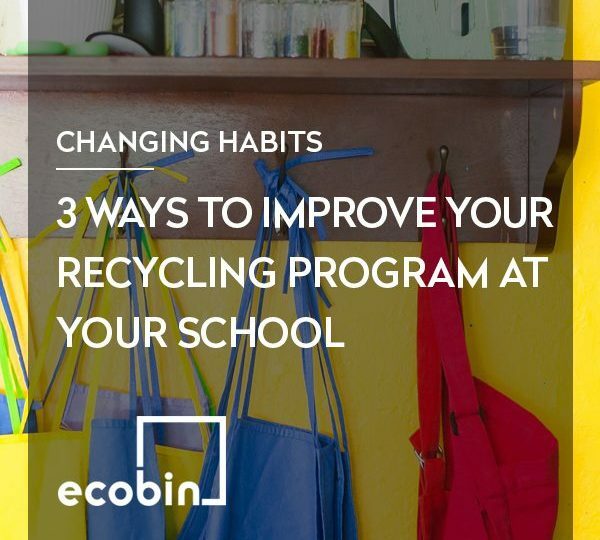 It’s a common misconception that all recycling goes in the same bin, but this is unfortunately not the case, and can even ruin your recycling efforts all together. While we encourage you to limit your plastic use as much as possible, sometimes you can’t avoid it, so in these cases, you should do whatever you can to ensure it is recycled properly. Unfortunately, there are so many conflicting messages as to what can and can’t go into our household recycling bins. First and foremost, you should always check with your local council as to what kind of plastics they can process in their machinery. Your friends in a different suburb may have a different set of rules than you do, so it’s important to do your research. As for some general overall recycling information, here are some things to look out for. 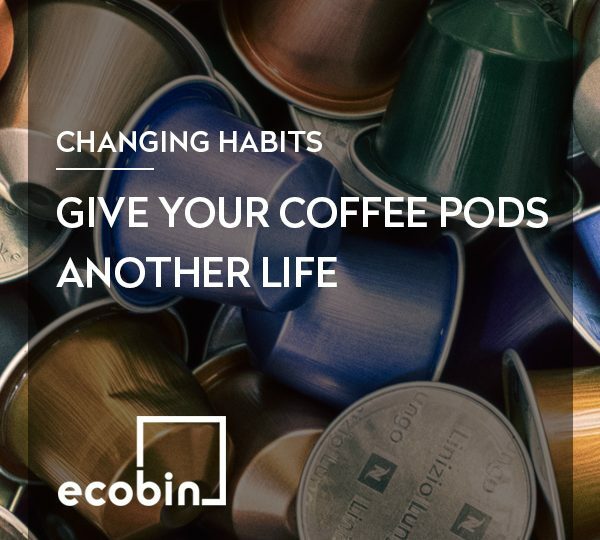 We’ve listed this one first because it’s the least known about, and most of us get it wrong which causes a negative ripple effect, but thanks to ABC’s War On Waste Program we’re all becoming more aware of how to deal with it. Soft plastics include things like plastic bags, food packaging, bread bags and any other soft or flexible plastic that can be easily scrunched into a ball. This is the most common recycling mistake and can cause havoc for the mechanical sorting machines used in plastic recycling operations. As a general rule, these should not be placed in your household recycling bin. Instead, you can use the REDcycle program to recycle these plastics. The REDcycle program helps to divert these soft, flexible plastics from entering landfill, and instead, they’re turned into a recycled material by Replas that can then be used for park benches, bollards, decking and more! Collect all your soft plastics that cannot be put into your household recycling bin and take them to your nearest REDcycle collection bin. There are drop-off bins near the checkouts in 480 Coles stores and 100 Woolworths stores around the country, and you can find your closest drop-off point using the store locator on REDcycle’s website. All plastic drink bottles can go into your household recycling bin; however, it is advised that you remove the lids from the bottles when you put them in the bin. 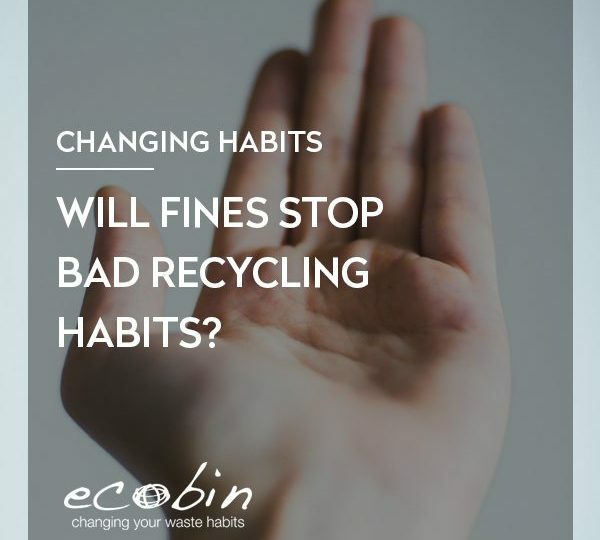 The bottle lids are too small to be picked up by sorting machines and when you leave the lid on there is a risk of pressure building up when the recyclables are compacted, which means they could potentially explode. Polystyrene foam is generally not recyclable. This is the material that is often found in meat packaging from supermarkets and is usually black and spongy. This also includes some takeaway containers and hot drink cups. This material differs across councils, so double check with your local council. When you place your recycling in a plastic bag and then throw it into your household recycling bin, you’re doing more harm than good. Most sorting facilities around Australia prefer for your recycling to be loose so that it’s easier to sort. There are even cases of entire bags of recycling being thrown out because they are in a plastic bag. Your recycling should not have any food or leftover liquid in it, so there should be no need to place it in a bag. Invest in a good quality household recycling bin that you can throw your recyclables in to without having to worry about odour or leakage. You can then empty the entire bin into your kerbside bin for removal, no bag required! It can be easy in the moment to throw things like cling wrap and bread bags into the recycling bin and think we are doing the right thing, but it’s so important to educate yourself on what your local council will accept as recycling so that all of your efforts can make a positive impact on the environment. While you may think that your single recycling bin doesn’t make a difference, it does! 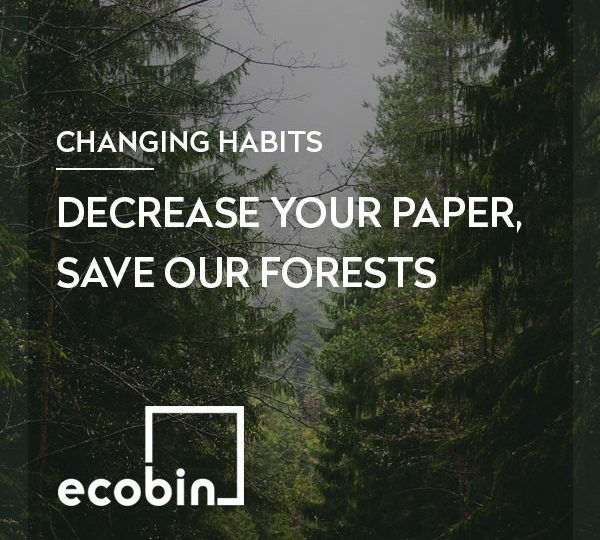 Every small step counts towards a better environment.